I'd like a V8 but i'm trying to keep my total price at 29K. I feel that this is doable for a 2014 RT with it being close to next year's model's release date and dodge has about 2k-4k in rebates it seems right now. It should be very doable. The deep discount is why I just bought another one last week rather than end up paying probably 10k more for a refresh 2015 with no rebates. The one I just bought listed for about 35k and I got it for $28,200. This is an R/T plus with 20' wheels. There was 3k rebate, the dealer marked down well over 2k and I got a USAA discount for another 1k. I have found for the last several car purchases, that looking on cars.com and finding what I want and contacting the dealer through their web site and asking for a quote, got me the best results in terms of discounts and no hassle rather than walking in and getting whichever sales shark puts the bite on you first. Hey there everyone I'm new to the forums but I've been lurking for the past couple months. 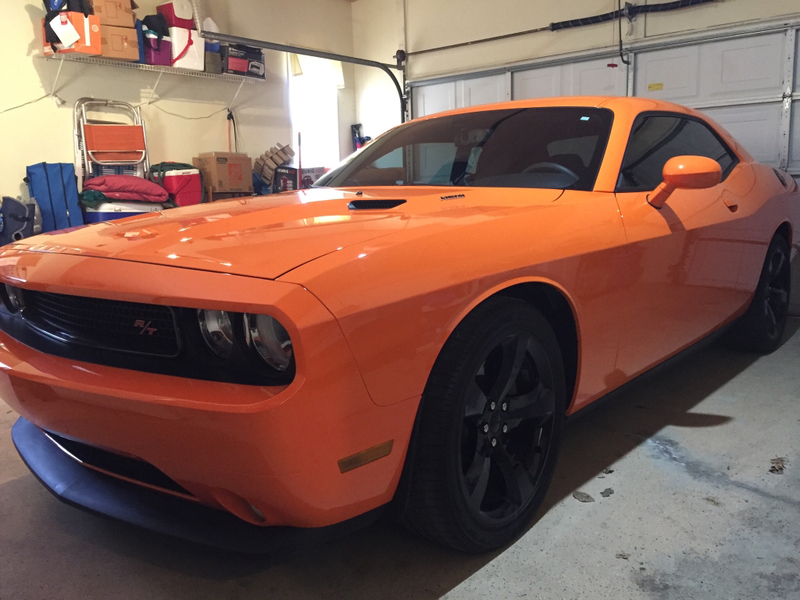 I'm looking to buy a 2014 Challenger this month. I was wondering if anyone had any thoughts on what a 2014 RT should be going for considering the 2015 models are coming out in september. I've never bought from a dealership before but It seems the MSRP are really jacked up. Wondering how much I should be trying to haggle off the MSRP. There's a 2014 RT Plus Automatic in Black with the 28J Package with a MSRP of 35500. Any advice for a new guy buying first time from a dealership would be appreciated. Especially on what would be a reasonable price for 2014 SXT, RT, RT Plus this time of year. Welcome to the forum. You'll receive more responses if you create a new thread. This thread is for 2014 Challenger information such as features & specifications. Just got mine 2014 RT blacktop 7,500 miles. I still prefer the 2014 over the 2015+ in every aspect except powertrain.